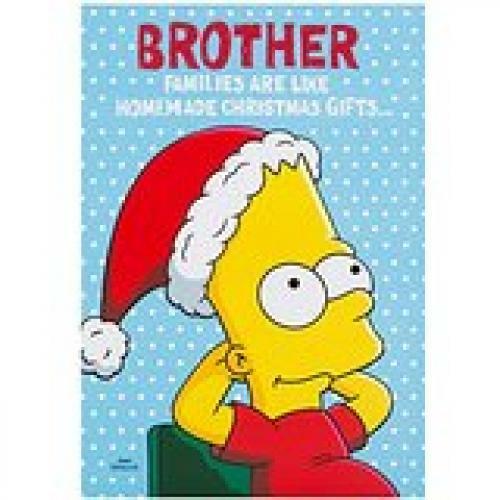 Bart Simpson card for your brother. The wording inside reads "Nobody asks for them, and you can't swap them for something better! Merry Christmas (I wouldn't swap you for anything! )".